Please digg this story here. Link to the video in HD on YouTube. If you like these videos then follow me on twitter: @eirikso – and you’ll be the first to know about other projects that I might do. All through 2008 I snapped still images from the same spot on my balcony to make a sort of time lapse video showing one year passing by. The video was hugely successful and has close to two million views on YouTube in addition to about one million on Vimeo and hundreds of thousands of views and downloads from other web sites. Last year I bought a new camera. The Canon 5D Mark II. In addition to excellent quality stills you can also shoot HD video with that camera. So I decided to do the same thing all over again. But this time I recorded 30 second video clips each time. My idea was that it would be possible to dissolve between the videos to get the same kind of time lapse effect, but this time with motion all the way. Snow falling, wind blowing etc. 2009 is over and I have now put all the clips I recorded through the year into a couple of videos. I recorded clips with a 15mm fisheye, a 24mm wide angle and a 50mm lens. I’ve made three different versions. The first one is the one at the top of this article. Shot with the 15mm fisheye and “defished” using Fisheye Hemi in Photoshop. To do that I exported the video as an image sequence and did a batch job in Photoshop to run the fisheye hemi filter and some cropping. The 50mm gives a closer look at the trees and I decided to make a longer video that gives a better view of how nature evolves with that footage. I ended up with 120 seconds. The way I did it is actually quite simple. 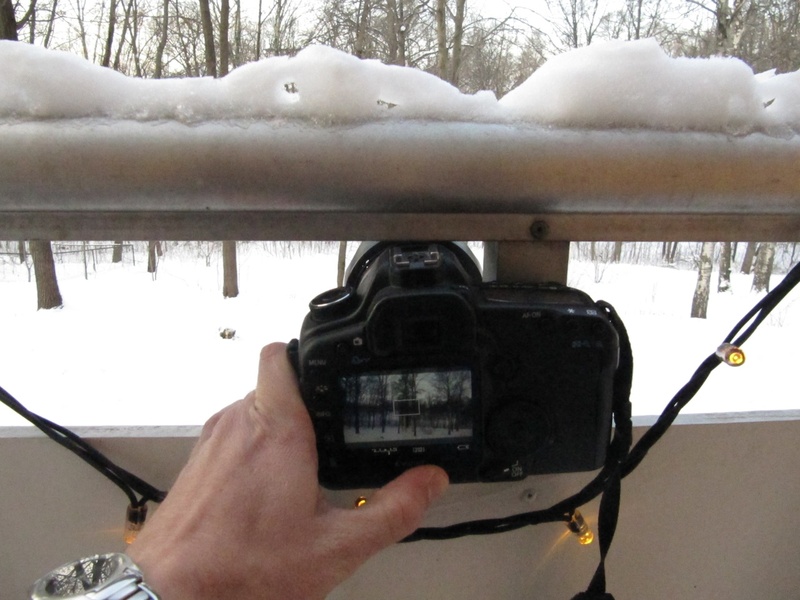 I found a spot on my balcony where I could place the camera in the exact same spot each time. Then I recorded video clips at irregular intervals. More or less once a week all thorugh 2009. More often during spring and autumn and not that often during summer and winter. All the videos are then put together using lots of dissolves. The sound was simply recorded with the Canon 5D Mark II as well. And left as it was recorded on all the clips in the video. Can I use the videos in my projects? Yes. All the videos are licensed with a Creative Commons License. To be exact: by attribution, share alike, non commercial. This work by Eirik Solheim is licensed under a Creative Commons Attribution-Noncommercial-Share Alike 3.0 Norway License. But what about commercial use? I don’t believe you, this is fake. If you think the video was made in post production using fancy graphics software… Well, that’s your problem. Not mine. Contact me, and we’ll see what we can do. Use the comments, so that I can answer to all the other people with the same questions. …and by the way: if you’re into geocaching I’ve actually placed a cache in the area you see in the videos. Dette var en flott oppfølger fra i fjor (eller 2008 var det vel). Time-laps med video fungerte veldig bra. Of course I remember your last photo presentation and it’s well know (you just have to Google “four seasons”). I also remember you talked about this last time we met and I have been waiting for the result: magnificence! A great proof of the significant four seasons in Norway and how well you’ve captured it! Thanks also for explaining how you made it. This is typical you Eirik; “everyone can do it” but it was you who did! superb video. nice stuff you do. succes. Nice website! Found out your web from Vimeo. An awesome and presistence job! It’s cool, Thanks for sharing the tips. This is really extraordinary footage. We so often take the amazing beauty of earth for granted. As a professional solar panel contractor I’ve always cared deeply about the environment. Kudos for putting out this footage and reminding people how precious this gift really is. Utrolig god jobb du har gjort. Så mye tid for et relativt kort resultat – men duverden så flott det ble! Beautiful work. And very imaginative. I live in Brazil and although I am in the South and we have a cold winter, a hot summer, etc, Nature doesn’t change during the year. Getting to experience it in your videos was amazing. They’re beautiful! I hope you’re always inspired to make more of them. Thanks for sharing! Look forward to see what you come up with to shoot in 2010. That’s fantastic work my friend. You’re also very generous when it comes to sharing your knowledge, and that’s quite inspiring. A lot of people should be like you. Keep it up, and best regards from Manila, the Philippines. Cheers! anyone notice the person walking across the field to the right around 1:00 ? If you look carefully at the HD-version you’ll see several people back there in the park. And maybe a Yeti or two. Wonderful footage and nice job explaining how you did it. Thanks for sharing with all of us. That’s really really good. I was attempting to do a similar kind of thing using my webcam, with it automatically taking images every few minutes, but the image quality is terrible. While I do have a nice Nikon D40 I didn’t want to leave it pointing out my window all year. It never crossed my mind to take just one or two pictures a week. I think I’ll give it another go. Amazing and beautiful! I have shared your work with friend on Facebook. Thank you for finding a way to share the world’s beauty and for the joy you have brought me and many others. Great video. Awesome. Thanks for sharing. Remarkable work. If I had a nice view from my house I’d definitely try it!!! Can you post more images like this. It’s brilliant. Also, nice work on the video. I look forward to your future projects. This is why I LOVE the web! Thanks for doing this and sharing it with us all. It is a moving-picture poem. Hey, what you’re doing is really cool. Getting to know people in digital world is amazing sometimes, feeling so far but also so close. Few moments ago, I read a piece of news about your clip one year in 120 seconds and having no clue who you are. By following the link, I am now reading your blog and feeling like you’re the neighbor nearby. Great way to finish a day. Anyway, I am from Hue city, Vietnam. Thanks for sharing. You are fantasic!! !Dimmitris from Greece..!!! wow, so nice to see that you are so generous with your footage and open to others using it. it’s so rare these days. what a breath of fresh air. very nice work. Lovely! Made me long to go back to Norway. Visited the summer after the Olympic games. Intend to go back to trace my Norwegian roots. My grandparents came from Farsund. Thank you for providing us with a simple touch of beauty! That would make a great windows screen saver (minus the sound) a endless loop. Can that be done Eirik ? Me and wife thought was great ! very creative and beautiful to see nature in action. Your video was very cool. Just wanted to let you know that it’s been featured on Tom’s Blog at the Tokio Hotel website. Thanks for letting me know. Cool! Festlig! Takk, hadde ikke sett den nei. Fantastic! Excellent work 🙂 One year in 90 days is one of the most spectacular video I even watched. I thought to something similar but using pictures not videos and maybe I’ll do it. The single problem I see is to take the shots from the same angle/place. Absolutely fantastic! Very creative and beautiful. To make the URL shorter in passing along, I created this one you may want to use too…. http://tinyurl.com/2009-90sec (to HD on YouTube). Thank you so much for this. And for your sharing of information. Wonderful. I keep alive a dream to visit Norway someday. Even the dream of finding a farm somewhere there and arranging to work there for a few weeks one summer. I farm over here in Massachusetts. I’ve been doing something similar out the back of where we live, but pretty informal, shooting whenever I like. Fields, woods, sky. Over a year now. If you are on Facebook, I have some photos there. Well done. Best to you. This is possibly the coolest video and project ever. Great post! That’s soo cool but during winter the snow is moving consitently. i.e. the same snowflake goes from top center to lower left. I have inteligence for think about some like this, but i have NOT any patience for do it. How many 30 seconds films? I would like more details about software we could use to do this. Is Create Commons too? Did you do the registration by hand? Yes, I did the final adjustments manually in Final Cut Pro. Very nice. Thank you so much for sharing! I think it is all very interesting. If it is not very expensive with all the best because we’re finding good locations. For the rest of the trip with our family. There are users on Youtube who uses this technique. They take pictures of their selves in front of the mirror and use this effect after a year or two. Could you please contact us asap. Question about eventual use/copyrights of your “one year in 90 sec.”. You and me seem to have made a similar thing. I am the author of the new weather software – yowindow. YoWindow changes the picture behind the window depending on the season. It also reflects the actual weather and the sunlight. Now I’m looking for pictures taken at the same place, but in different seasons of the year. I want to add them to the program to cover as many places of the world as we can. I was thinking that you may know a place on the internet where this weird kind of pictures may be collected. It was very inspirational for me personnaly. Really impressed with the dedication to make a video like this, it looks great. Cheers for sharing. Erik, I found your 1 Year in 90 seconds, absolutely beautiful, somber and playful. So pleased you took the time to create this to share with the world. (I see you have created various time-lapse still/video). So COOL! Lake Charlotte, Nova Scotia in Canada. I’ve been looking at your time-lapse videos, you’re doing terrific work. I’m a musician and I’ve been trying them with audio for a youtube video. I’ll send a link for your approval when I’m done. Wow. Just… Wow. That is, hands down, the absolute COOLEST thing I’ve ever seen on YouTube. I love the first video… I’m a real out-doorsy type, I love nature, and that was just… It almost brought a tear to my eye. You should turn this into a movement. Really. Try to get others around the world, in different climates and regions and locales, to contribute their own videos – use it to spread awareness of the environment. I’m not jumping on the global warming bandwagon of course, I guess you could say I’m a non-believer in some of those theories – but I still believe we should respect the planet. Perhaps you could find a way to begin the movement, and then find an approprite charity to work with. They may even compensate you for the work! I am very impressed with the amount of dedication it took to make a video like this. I also like the simplicity of how you took the pictures. I am going to have to do something similar. It reminds me a lot of the guy who took a picture of himself everyday (or close to everyday) for a year. Awesome stuff Erik! Loved it! I Dugg it too. It’s a fantastic video, wish I had your patience. Also I loved your balconie’s view and the position of your house!!! Great Video! Could you please explain specifically how you adjusted the video clips to line up. Be it a situation in life or one of the items of daily use. These amazing designer skateboards can in the long run become your identity and distinguish you from the crowd. Our nephew emailed this link about your 90 seconds in one year – this so great – and you do not see any difference in positions frame to frame. Great Work! I think you are amazing for being so open about your process and techniques and then giving it away for people to play with or selling it at a very reasonable price. My hat off to you sir. We need more artists like you. Very nice video wished I can make one here in Rocky Mountains. What editing software was used in “One Year in 60 Seconds” ? It wasn’t elaborated in the video. I used Final Cut Pro for all the videos. Brilliant piece of work, you got any other projects lined up? How did you get the brightness so consistent between shots? Just manual adjustment for each video clip or is that done with some kind of automatic settings? I simply used auto exposure on the camera… Nothing fancy. Hey, I’m working on a project for a play. 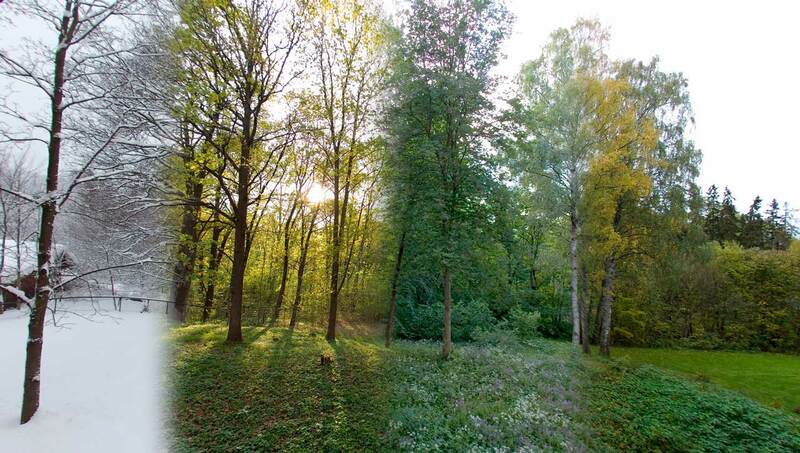 Could we use your time lapse to show different seasons in the play by projecting a section of this video? Please let me know asap, the play goes on in a month. Awesome video.. Can’t believe I’ve never seen this before now! Thanks for helping me find it! You have done some excellent work.Love the videos. We think about moving to Norway. Are the videos from 1st January to 31th December and did you really have more than 50% of the year with 0°C and snow in 2009? Thanks for the inspiration. I live in Happisburgh on the Norfolk coastline (uk) which is subject to serious coastal erosion and i would like to do a TL of the beach and cliff face at low tide. There are rock armour defences to which i can return to take images from various locations but no permanent fixed point as every 12 hours it will be under water. We have something called longshore drift which means the beaches are replenished by the collapsing cliffs and sand is washed down the coastline by the tides. The drop in beach levels can be quite dramatic which is why i thought it would make a good subject for a TL over a year or so. I was thinking of using single raw images overlaid and then put through Lightroom. Comments or advice would be great on how to achieve this overlay without using an exact static location . Good job and good inspiration… congratulations! Thank you so much for this share. It helps me a lot. The graphing calculator is very very good! Thanks also for explaining how you made it. This is a really interesting concept. I’ve only ever normally seen this done on tv documentaries, rather than done on a personal level. It makes for a really good watch.